I think,it is interestnig to see.Awarded in 1972. Possibly for a disability during the war. I have one in the serial range 7678xx for this, received in June of 1970. 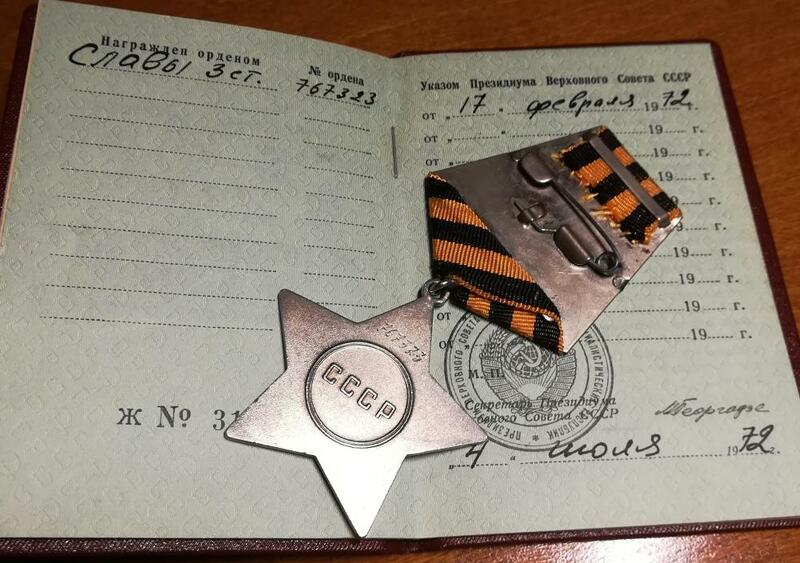 Served in the 77th Rifle Division,109th Rifle Regiment. 70th and 80th.But I do not have any more information. Yes, exactly, the decree of 17 Feb 1972 was one of the decres “for wounds”, or disability obtained due to war wounds as it was mentioned here. I have found some information about Mikhail Mikhailovich Petrov here.Only one person with this data. The guard soldier of 307 Infantry Mortar Regiment. There are 12 people with this name which were awarded OGIII during WW2. It is a common name. I actually think this particular citation is not on the website because it is from 1970s. The database covers documnets until 1946 (?). Not sure exactly unril what specific date, but abround 1946. 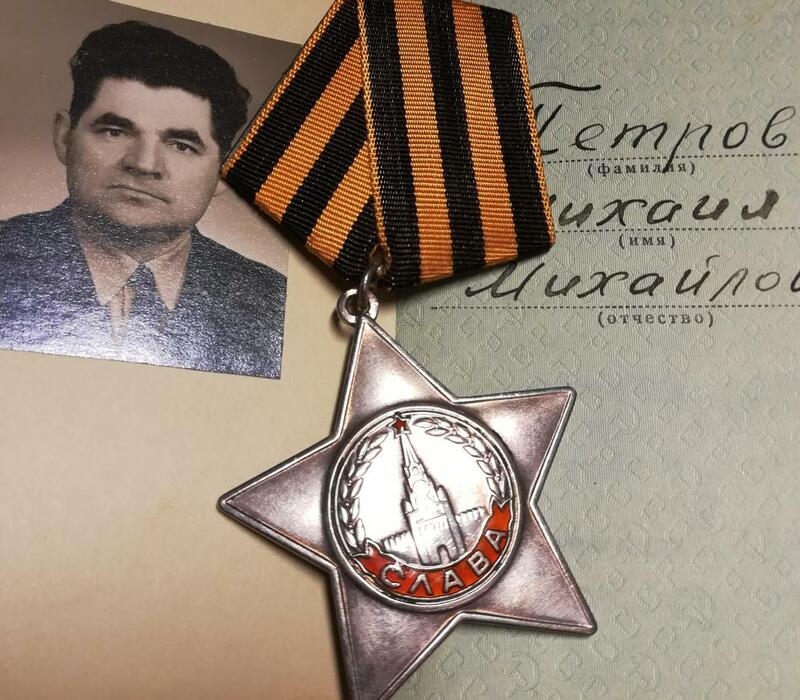 In Podvid naroda I have found only one person concerning Mikhail Mikhailovich Petrov.The Guard soldier of 307 infantry Mortar Regiment.Awards-only Medal For Victory over Germany in 1946.Nobody else with this first name,second name and surname. If I punch in «Михаил Михайлович Петров», I get 358 different documents. 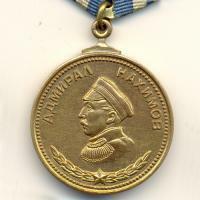 Of these, at least 21 entries for different prople for the Victory medal. I have to admit,you are right.36 pages with Михаил Михайлович Петров in Память народа. That's about right. They have some wound award decrees from the early 1950s though, but this 1972 award won't be on the website.